After our last post celebrating the glory of walking in the Red Rose county we thought it only fair that we would give a little coverage to their White Rose wearing rivals and cover a few of the fantastic walks in Yorkshire that are available. As we spent a quick overnighter in Ingleton this week at the great Seed Hill Guest House (www.ingletonyorkshire.com) where the breakfasts were magnificent (fried bread…need I say more) this seemed like an ideal opportunity! 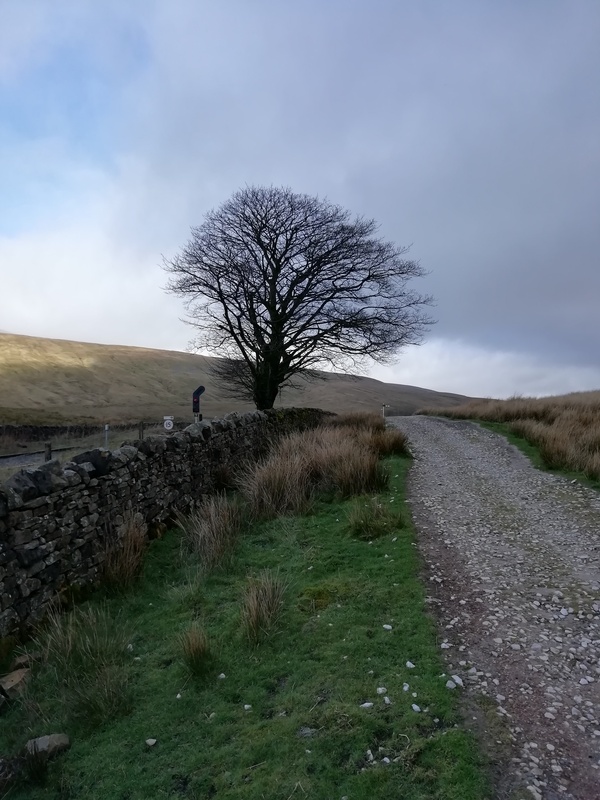 Day one and we thought we would ease ourselves in with something gentle yet scenic, the well known Ingleton Waterfall Trail was perfect with these factors in mind. Now, the contentious issue of paying for access to land is not something we are going to address in great detail here, but it’s worth noting that to walk this trail (and use the carpark at the start of the route) there is a not insubstantial charge of £7 per person…..make your own mind up on whether you consider that justified….suffice to say we paid it and away we went. We’d not been on the trail more than five minutes before we saw a pair of Dippers collecting nesting material and a few minutes later we saw a Grey Wagtail, what with the avain activity and Primroses and Snowdrops blossoming the whole valley had a very Springlike feel to it. The heavy rain that had blighted the weekend meant that the water levels were still high, higher than any time I have been before and Pecca Falls and the beautiful Thornton Force, one painted by Turner, looked magnificent as the water boiled and tumbled down the cataracts. After the customary stop at the isolated ice cream van above Raven Ray we followed the River Doe as it is forced through the ever steepening and narrowing walls of Baxenghyll gorge over Beezley Falls, Triple Spout and Snow Falls before emerging back into the picturesque town itself. After working out that we were too late for the tearooms but too early for the majority of the pubs we found a great new venture in the Old Post Office (www.theoldpostofficebar.co.uk) where the drinks were good, the welcome warm and the conversation lively, it comes highly recommended! Day two and it was time for something more ambitious. 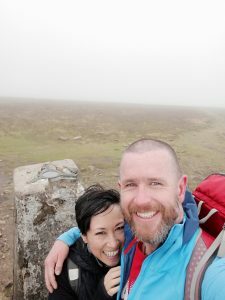 I have done my fair share of Yorkshire Three Peaks over the years and it’s hard to pick out a favourite but with the cloud lying low across the summmits we decided on Whernside for the pleasant valley walk in. At 736m it is the highest hill in Yorkshire and the ridge line of the top was still covered with a decent sprinkling of hard snow as well as being sat in the clouds. Below the clouds though the views were great, across towards Pen-Y-Ghent and of the Ribblehead Viaduct, a notable local landmark. The knee crunching descent was made more hazardous yet as the much used and abused path is currently being restored (looked like bloody hard work!) so we had to slip and slither down a muddy, vertiginous and slightly hairy route alongside it. Once back on the valley floor it was a gentle meander through fields of sheep and cows until we emerged back under the viaduct itself before making our way back to the car and a coffee and cake stop in Settle. It is a beautiful part of the world and offers something for everyone with the limestone pavements of Malham, the slopes of the Three Peaks themselves, the wild, rough and rugged moors and a plethora of quaint villages housing welcoming pubs and tea rooms. Lancashire may be home, but Yorkshire ain’t too bad when all is said and done!